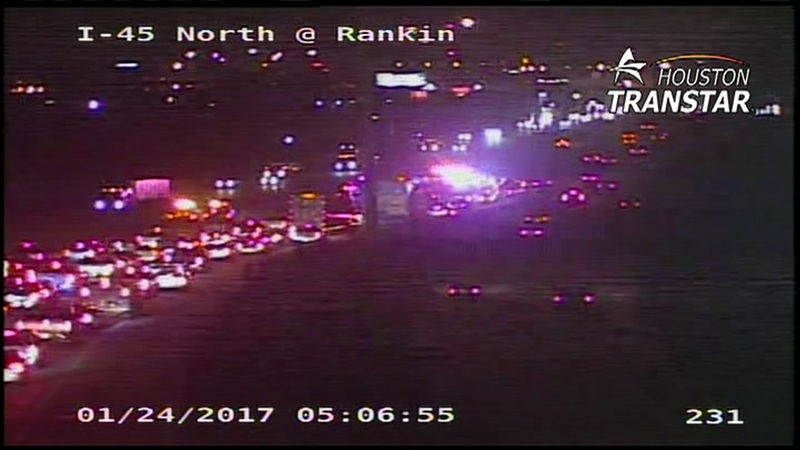 HARRIS COUNTY, TX (KTRK) -- Drivers experienced a traffic delay on the North Freeway at Rankin after an accident involving a Harris County deputy. The left lane and two center lanes were closed Tuesday morning as a result of the accident but have since reopened. The deputy was taken to the hospital, but is expected to be ok.